Marketplaces and prices shown matched UPC number 606479634946 during our search. Every dart size is 7.2cm 1.2cm , color: blue.Material:EVA, hollow with hole.Package includes 500 PCS darts. NOTE: The head of each bullet is made of plastic, so a little bit hard, please don't shoot at people directly to prevent hurt ,especially do not aim at the people's face, to prevent injury to the eye. Search AMOSTING Bullet for more options! 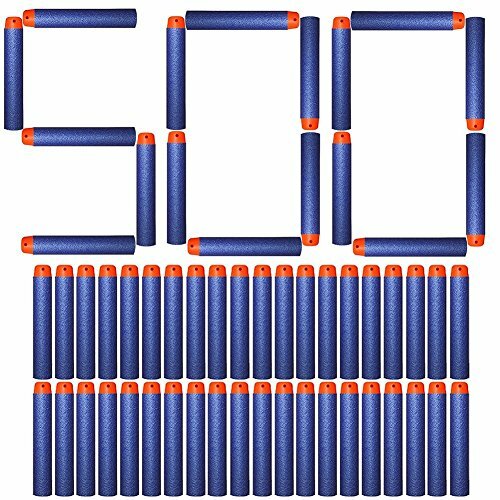 NOTE: This AMOSTING 500PCS Bullet Refill Pack is only offered by AMOSTING, other sellers (Not AMOSTING) sell with lowest price, worst quality and even worst delivery method. If you got FAKE DARTS from others, please ask for all refund without returning darts back, you can even report to Amazon directly to protect your rights! 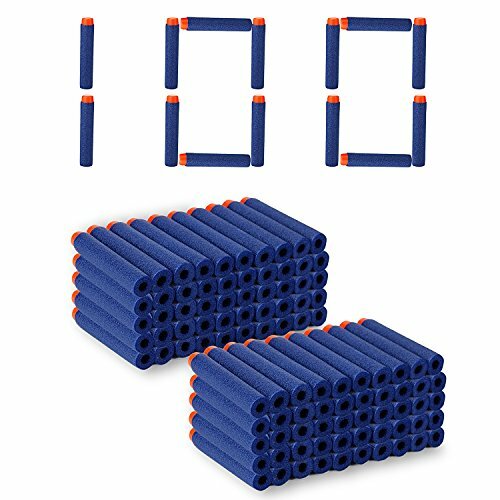 Product Description N-Strike warriors lose when they run out of ammo, and there is no better way to load up on firepower than this Refill Pack of 500PCS N-Strike Elite Darts! 100% brand new and high quality, very close to the originals.Buy these refill darts and end up with looking for the disappeared darts in your house! Features: 100% Brand New and High Quality. Soft EVA material and round head design. Very safe bullets which can also be launched to far distance. Length: Approx. 2.84 inch /7.2 cm. Diameter: Approx. 0.51 inch / 1.2 cm. Color: Dark Blue Precautions: Choke Hazard Small Parts, not fit for Children under 3 years. Don't aim at eyes or face. To avoid injury, use only darts designed for this produce. Don't modify darts or darts blaster. 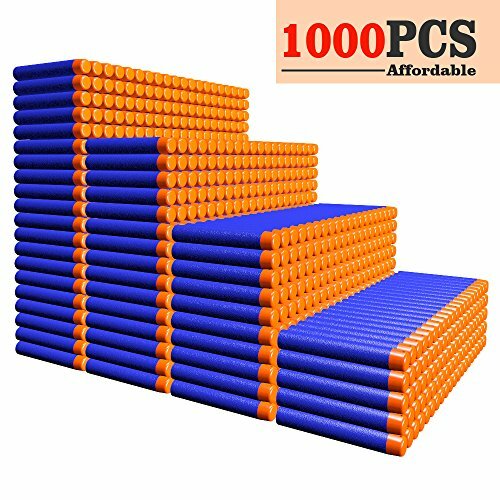 Package Included: 500 x AMOSTING Bullets Search AMOSTING Bullet for more color/quantity option!! AFTER-SALES SERVICE: Please feel free to contact us directly when any problem happens to you.